March 12 – JT is born in Boston, Massachusetts’ Boston General Hospital at 5:06 p.m. Adult JT stands 6’3” and weighs about 155 pounds, but he was considerably smaller at birth. The Taylor family moves to Chapel Hill, NC. JT’s father, Dr. Isaac Taylor, was the dean of the University of North Carolina-Chapel Hill medical school. JT’s parents buy him his first guitar, which brother Alex later paints blue – strings and all. Begins attending Milton Academy, a private prep school outside Boston. Meets Danny “Kootch” Kortchmar on Martha’s Vineyard. JT and Kootch win a hootenanny contest and play folk gigs locally. Drops out of Milton Academy during his junior year. Joins a band, The Fabulous Corsairs, with brother Alex. 17-year-old JT admits himself and spends ten months in McLean Psychiatric Hospital in Massachusetts as a result of depression. His song “Knocking ‘Round the Zoo” was inspired by his stay there. Goes on a trip to Russia. Graduates from high school at McLean Hospital’s Arlington School. Kootch and Joel O’ Brien join JT to form The Flying Machine. The Flying Machine breaks up. Moves to Notting Hill Gate section of London and records demos to audition for record companies. Introduced to Paul McCartney by old friend Peter Asher and signed to the Beatles’ fledgling record label, Apple Records. JT was the first outside artist signed to that label. Enters Austen Riggs, another mental hospital in Massachusetts, partly due to his heroin addiction. 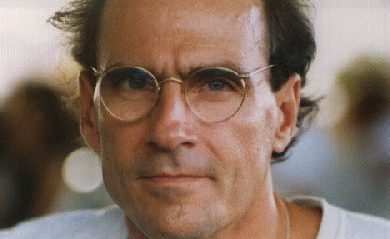 February: “James Taylor” released in the U.S.
March: Single “Carolina In My Mind” / “Taking It In” released. July: Single “Something’s Wrong” released. July: Debuts at The Troubadour in Los Angeles. Breaks both his hands in a motorcycle accident and is forced to stop playing for several months. Signs to Warner Brothers label and moves to California with Asher. March: “Sweet Baby James” released on Warner Brothers label. The album peaks at #3 and stays in the charts for two years. April: Single “Sweet Baby James” / “Suite For 20G” released. April 24: Performs at Harvard College. Recorded and circulated among tape collectors. August: Single “Fire and Rain” / “Anywhere Like Heaven” released and peaks at #3 on the charts. October 16: “Sweet Baby James” album certified platinum. November: Single “Carolina In My Mind” / “Something’s Wrong” released. January: Single “Country Road” / “Sunny Skies” released. “James Taylor and the Original Flying Machine” released in response to JT’s rise to fame. March: Appears in the cult film “Two Lane Blacktop” with Warren Oates and “Beach Boy” Dennis Wilson. “Mud Slide Slim and the Blue Horizon” released. Goes platinum. Plays to sold-out audiences in 27-city tour. Band includes Carole King and Danny Kortchmar’s band, Jo Mama. May: Single “You’ve Got a Friend” / “You Can Close Your Eyes” released and goes gold. September: Single “Long Ago and Far Away” / “Let Me Ride” released. Wins first Grammy, “Best Pop Vocal Performance, Male” for “You’ve Got A Friend.” The song also earns Carole King the “Song of the Year” Grammy. October: “Don’t Let Me Be Lonely Tonight” single released. Nov. 3: Marries Carly Simon. Son Benjamin and daughter Sally from that marriage. February: “One Man Parade” / “Hymn” single released. March: “Hymn” / “Fanfare” single released. “Mockingbird” duet with Carly Simon released as a single (millionseller) and on Simon’s “Hotcakes” album. July: “Daddy’s Baby” / “Let It All Fall Down” single (inspired by Watergate) unsuccessful when Nixon resigns the day after its release. July 13: Three-week tour with the Manhattan Dirt Riders and Linda Ronstadt. August: “Walking Man” / “Daddy’s Baby” single released. April 30: Four-week U.S. tour. “How Sweet It Is” / “Sarah Maria” single released. May 30: Plays Carnegie Hall in NYC with guests Carole King and David Crosby. “You’ve Got a Friend” duet with King released on her “The Ode Years” collection in 1994. July 2: Four-week U.S. tour. August: “Mexico” / “Gorilla” single released. September: Solo tour of 8 cities. April 21: Two-week U.S. tour. May: “In the Pocket” released. “Shower the People” / “I Can Dream of You” single released. July 3: Four-week U.S. tour with David Sanborn. October: “You Make It Easy” / Woman’s Got To Have It” single released. November: “Greatest Hits” released. It never goes higher than #23 on the charts, but remains JT’s biggest-selling album and has sold more than 11 million copies. December: Leaves Warner Brothers for Columbia Records. January 22: Son Benjamin Simon Taylor born. June 3: “Handyman” / “Bartender’s Blues” single released. June 24: “JT” released on CBS label (goes platinum). June 26: One-month U.S. tour with 22 shows. September 20: “Your Smiling Face” / “If I Keep My Heart Out of Sight” single released. November: Tour of California followed by two shows in Honolulu. January 31: “Honey Don’t Leave L.A.” single released. Peter Asher wins “Producer of the Year” Grammy. JT produces and performs on Kate Taylor’s self-titled album. Also composed the song “Happy Birthday Sweet Darling” on that album. Wrote “Millworker,” “Brother Trucker,” and the music for “Un Mejor Dia Vendra” for the Broadway musical “Working.” The show bombed. July 20: Original cast album for “Working” released (Columbia Masterworks). May 22: “Up On the Roof” / “Chanson Francaise” single released. Blossom Music Center taped for a Showtime special. September 19-23: Performs at “No Nukes,” a series of 5 antinuclear concerts by Musicians United for Safe Energy (MUSE). December: “No Nukes” 3-LP album released (Asylum). JT is heard on 6 tracks. July 18: “No Nukes” feature-length movie opens in New York. JT’s studio recording of “Stand and Fight” is added. August 3: Four-week U.S. tour with 23 shows. “In Harmony” Sesame Street album wins “Best Children’s Recording” Grammy. February 11: Five-week U.S. tour. February 20: “Her Town Too” / “Believe It Or Not” single released. February 26: “Dad Loves His Work” released. April 25: Two and a half-month tour with 47 shows. May 12: “Hard Times” / “Summer’s Here” single released. September 10: Month-long tour of Far East with 17 shows in Japan and Australia. February 1: Six-week U.S. tour with 30 shows. July 14: Five-week tour with Karla Bonoff opening. August 1: Six-week U.S. tour. April 4: Four-week U.S. tour. August 1: Six-week tour with Randy Newman. January 12 and 14: Performs at Rock in Rio concert in Brazil. The song “Only a Dream In Rio” was inspired by this visit. September 12: Two-week tour of Italy. October 15: “Everyday” / “Limousine Driver” single released. October 17: “That’s Why I’m Here” released. “Live In Rio” released by Columbia Brasil. Performs at the first Moscow Rock festival. Highlights shown on Showtime cable network. December 14: Marries actress Kathryn Walker at the Cathedral of St. John the Divine in New York City. January 24: Two-week tour of Australia. March 16: Five-week tour of Europe. July 23: Six-week U.S. tour. September 29: One-week U.S. tour. October 11: Two-week tour of Brazil. “James Taylor” (JT’s 1969 Apple debut album) re-released by EMI. “James Taylor (LIVE)” released (more than 1 million copies sold). “James Taylor (Best LIVE)” released (contains subset of LIVE). April 12: Performs at Rainforest Action Network benefit at New York’s Carnegie Hall with Sting, Bruce Springsteen, Elton John, Paul Simon, and others. May 7: Receives an honorary doctorate of music at the Berklee College of Music in Boston and gives a commencement speech. Tours U.S. playing with major symphony orchestras. August 30: Performs rare joint concert with Carly Simon on Martha’s Vineyard. Dubbed “Livestock 95” since it was a benefit for the Martha’s Vineyard Agricultural Society. Divorces second wife, Kathryn Walker. June 1: Longtime JT band member and musical director Don Grolnick dies of cancer. June: Italian company KTS releases “Carnegie Hall” bootleg. July: JT begins long summer tour of the U.S.
November 1: JT’s father, Dr. Isaac Taylor, dies. He was 75. April 10: JT performs at the “VH1 Honors” benefit concert in L.A.
May 6: JT inducts Crosby, Stills and Nash into the Rock and Roll Hall of Fame. May 20: “Hourglass” released. Opens and peaks at #9 on the Billboard charts with more than 70,000 copies sold in the first week. June: Summer tour of the eastern U.S. and Canada begins. Major European tour followed by a U.S. summer tour. Son Ben Taylor records his debut album, “Green Dragon, Name a Fox” with producer Arif Marden, but when the Sony-owned Work Group label folds the album is shelved. March 12: JT turns 50. April 7: Drummer Carlos Vega commits suicide on the eve of the band’s scheduled appearance on the Oprah Winfrey Show. Major European tour followed by U.S. Fall Symphonic Tour. October: “Two-Lane Blacktop” is re-released on video and DVD. March 6, 2000: Inducted into the Rock and Roll Hall of Fame. Paul McCartney presents his award. June: Ian Halperin’s “Fire And Rain: The James Taylor Story” is released. It’s the first biography of JT. November 7: “Greatest Hits Vol. 2” released. Covers JT’s Sony/Columbia career and contains no new material. Inducted into the Songwriter’s Hall of Fame. February 18: Marries longtime girlfriend Caroline “Kim” Smedvig in a small ceremony in Boston. They met while Smedvig worked for the Boston Symphony Orchestra. April 5: Twin sons Henry and Logan are born via a surrogate mother. June – October: Major U.S. tour. September: Billboard Editor-In-Chief Timothy White’s biography, “James Taylor: Long Ago And Far Away,” is released. Wins “Best Pop Vocal Performance, Male” Grammy for his performance of “Don’t Let Me Be Lonely Tonight” on Michael Brecker’s “The Nearness of You” album. European tour followed by a U.S. college tour. August 13: “October Road” is released. October 18: Appears on CMT channel’s “Crossroads” in a joint performance with the Dixie Chicks. Tours Australia, Europe, and the U.S. from late January through October. April 8: “The Best of James Taylor” is released. It includes John Sheldon’s “Bittersweet” as its only new track. European tour followed by a brief tour with the Dixie Chicks as part of the “Vote For Change” political tour. November 1: “James Taylor: A Christmas Album” is released and sells over a million copies. December 1: Appears on the TV series “The West Wing” (NBC) as himself.